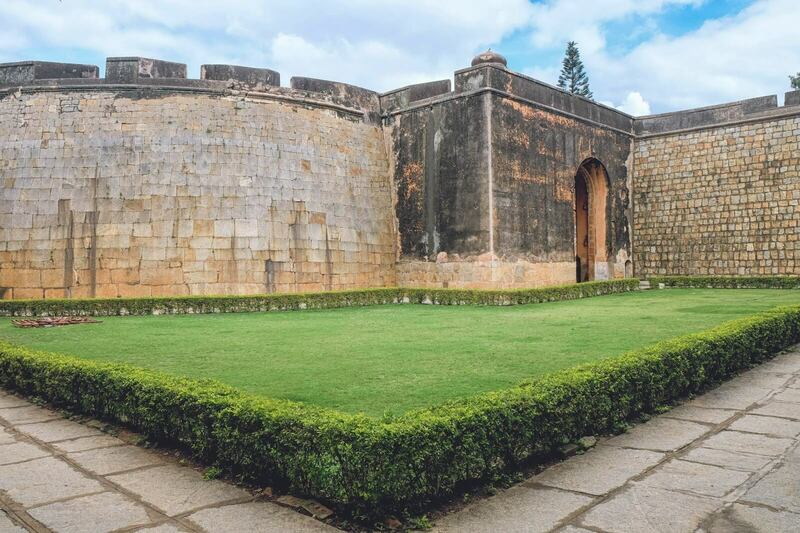 Located in Bengaluru (Bangalore), Tipu Sultan’s Fort (aka Bangalore Fort) was initially built as a mud fort by Kempe Gowda, the founder of Bengaluru. 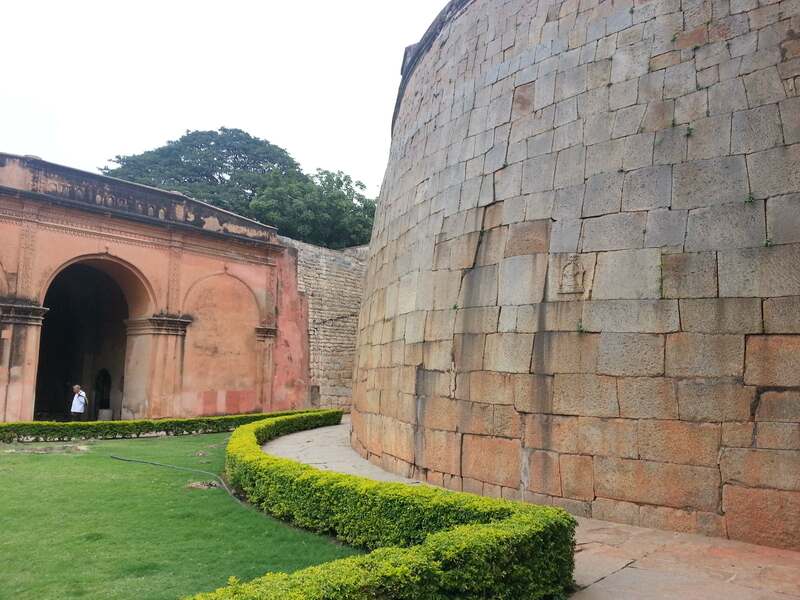 Later, Hyder Ali, father of Tipu Sultan converted it into a stone fort. 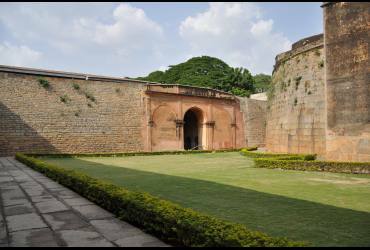 The Fort has witnessed the struggle of the Mysore Empire against the British. Within the fort is Tipu Sultan’s Summer Palace, which is an impressive piece of architecture in itself. Islamic art adorns the interiors of the palace with inscriptions of, “Abode of Happiness” inscribed across. Teak wood interiors generate curiosity among people to know more about the history associated with Tipu Sultan, also known as the Tiger of Mysore. There are two floors in the palace with balconies, chambers, four small rooms and a large hall. Paintings and murals on the walls depict and narrate the stories of bravery and chivalry of the Sultan and also portrays his hatred towards the British. There are patches of original paint on the walls of the Summer Palace. You can also visit the Ganpati Temple which is located in the fort complex, or relax in the gardens surrounding the palace. The fort and the palace are partially renovated, but major sections demand care. There is an entry fee for the fort. The management and service may disappoint you though. Hire a guide for a justified explanation and narration of the historical tales associated with the fort. There is a city market that surrounds the fort, but is usually very crowded.